Kenny MacAskill can expect to come under heavy fire today for allowing armed police to become a common sight on Scottish streets. The justice secretary will make a statement in the Scottish Parliament as public concern mounts over the controversial policy that threatens to change the nature of policing for ever. 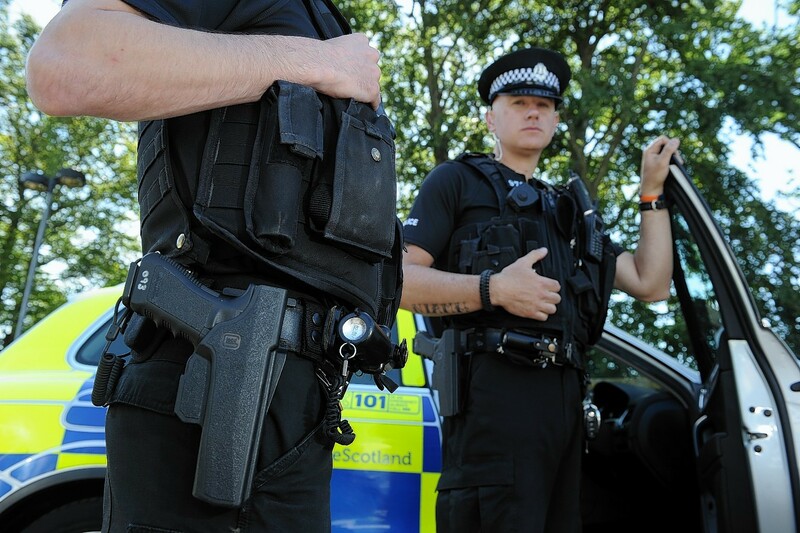 Officers sporting Glock 17 automatic pistols on their hips have been attending run-of-the-mill incidents such as a recent disturbance at a fast-food outlet in Inverness. Chief Constable Sir Stephen House’s suggestion that armed police could have prevented the Dunblane primary school massacre was dismissed by one of the victim’s father. Dr Mick North, whose five-year-old daughter Sophie was killed by gunman Thomas Hamilton, said: “I can’t see how any armed police would have stopped Dunblane – not at all. Dr North’s comment add to the growing pressure Mr MacAskill will face today to justify his hands-off approach to calls for a rethink. Mr Pearson, the former head of the new defunct Scottish Crime and Drug Enforcement Agency, said if MSPs do not get a clear understanding of how the policy can be changed he will be pressing for a full parliamentary debate. Scottish Liberal Democrat justice spokeswoman Alison McInnes said the decision to allow armed officers to “overtly carry guns while undertaking routine duties has been met with widespread concern”. The MSP for North-east Scotland added: “It has been disappointing that the justice secretary has so far adopted his typically boorish approach to the legitimate concerns of communities in Scotland. However, a statement from a Scottish Government spokeswoman indicated there would be no shift in policy. “The approach taken by Police Scotland is an operational decision which allows officers to be deployed quickly in the event of any emergencies,” she said.